“The Renovation Museum REIZENSOU”, commonly called “REIZENSOU”, is a 56-years old building entirely changed its application from originally rented living spaces into working/learning spaces such as ateliers, offices and studios. Now in here, ateliers for a Japanese-style drawer or for a poet, offices for an art director or for a travel company, studios for a photographer or for yoga, and some restaurants, etc.…23　tenants of varied styles are assembled. Each user freely designed their space by DIY (partly being helped by specialists).So, spaces are designed and used in completely different way, then named for “the Renovation Museum”. The building just likes as a museum of renovation styles. In addition, you can visit each space when available. 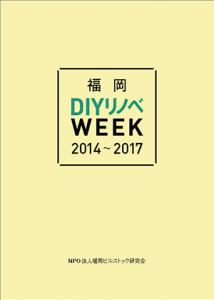 During the DIY Renovation Week, REIZENSOU works as the main venue of the event to output information of respective venues. REIZENSOU also presents information as needed even before kicking off. Mr. Sugiyama, the concierge of REIZENSOU, stays resident and will give you information. Please feel free to visit REIZENSOU!